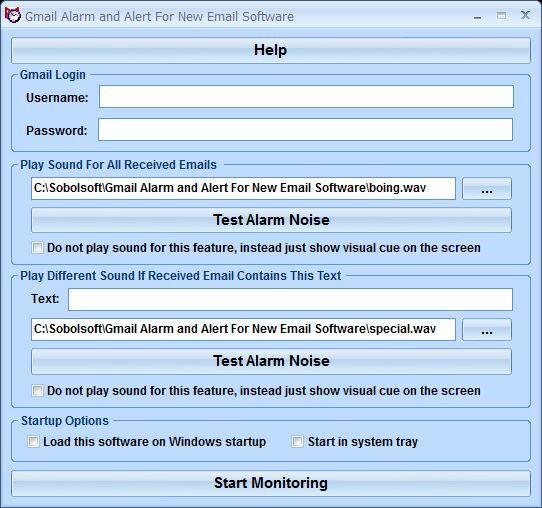 Gmail Alarm and Alert For New Email Software will play a sound and alert you when new Gmail emails arrive in your inbox. The user chooses a sound file for all e-mails that arrive and a different one for e-mails containing a specified text string. There are check box options to disable either of these features and to load this software on startup or to start in the system tray.